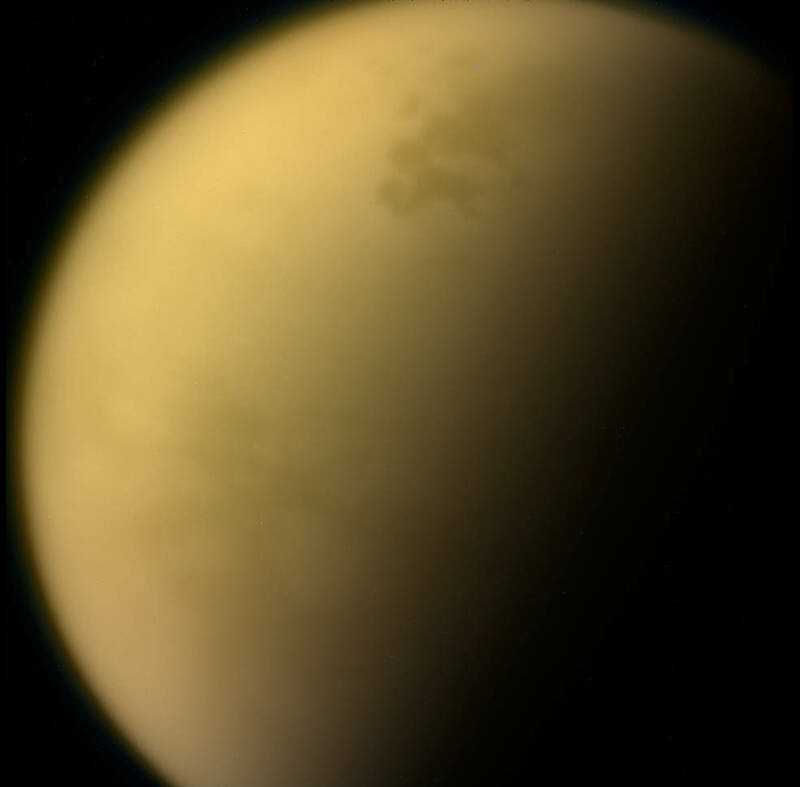 October 18, 2017 – Researchers with NASA’s Cassini mission found evidence of a toxic hybrid ice in a wispy cloud high above the south pole of Saturn’s largest moon, Titan. Laboratory experiments were used to find a chemical mixture that matched the cloud’s spectral signature — the chemical fingerprint measured by the CIRS instrument. The experiments determined that the exotic ice in the cloud is a combination of the simple organic molecule hydrogen cyanide together with the large ring-shaped chemical benzene. The two chemicals appear to have condensed at the same time to form ice particles, rather than one being layered on top of the other. Previously, CIRS data helped identify hydrogen cyanide ice in clouds over Titan’s south pole, as well as other toxic chemicals in the moon’s stratosphere.